In the next ten minutes! With the click of a mouse or an optional hardware button from any computer running CRS Notify, it instantly alerts multiple people and responders using multiple communication channels. 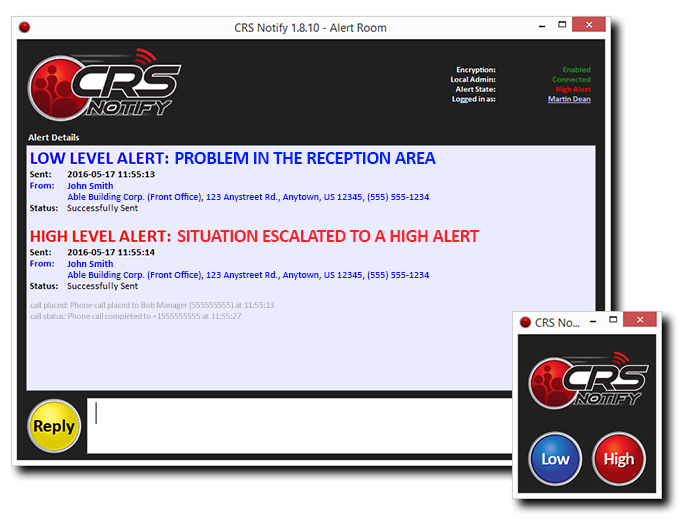 By default, CRS Notify can raise either level alert via computer mouse from the tray icon of the workstation. Centralized communication with adjustable alert levels. When you want to alert your responders and not the creepers, the alert room can be resized and muted for an inconspicuous silent alarm. You can set alerts to a specific color to ensure simplicity for all users. Opens a centralized, real-time communication channel to keep everyone updated until the situation has been handled. Each user is shown by their name and location throughout the situation. Text and email recipients also get follow-up notifications on any communication. 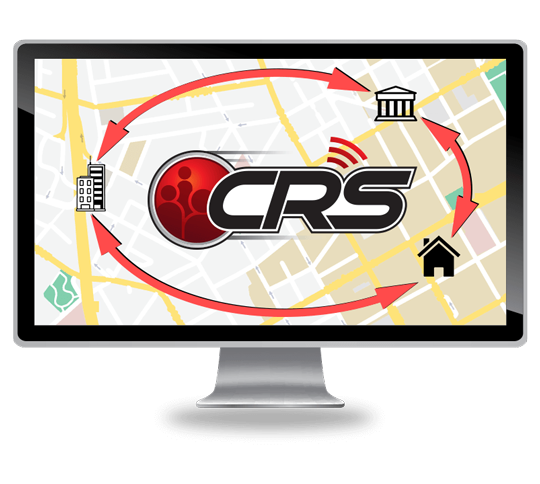 A unique feature of CRS Notify is that you can connect multiple buildings together in the event of an emergency. Connect multiple buildings on the same campus, multiple locations in the same area, or even multiple offices across the globe. All of your offices can connect back to one centralized point so you know immediately if a high alert was raised at any one of your facilities around the world! 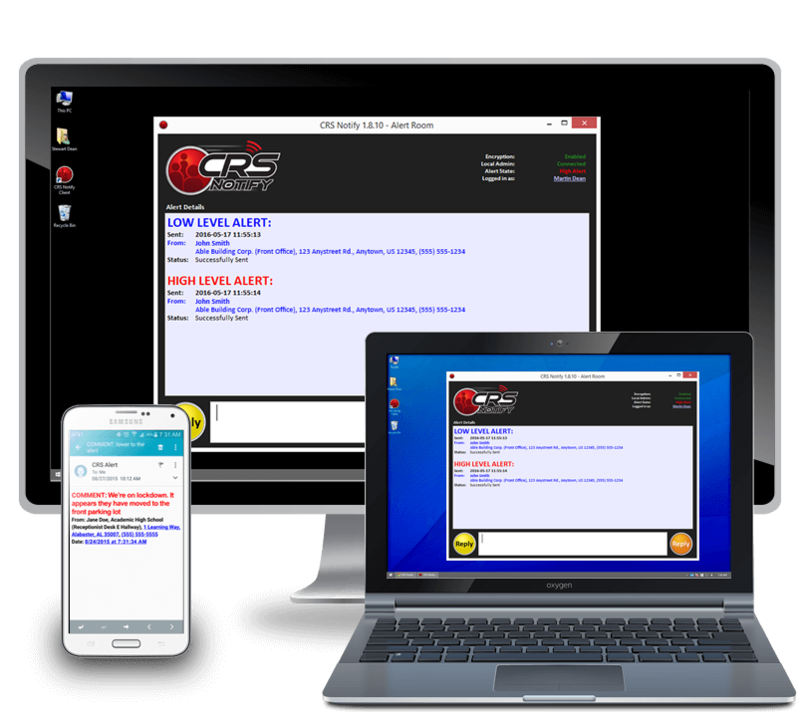 CRS Notify allows you to then communicate with those facilities to send and receive real-time updates via the alert room on the situation.